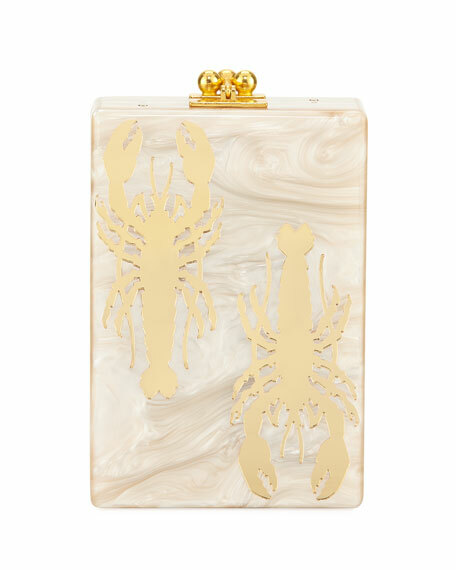 Edie Parker hard box acrylic minaudiere. "Triangle" is meticulously handcrafted in the United States. 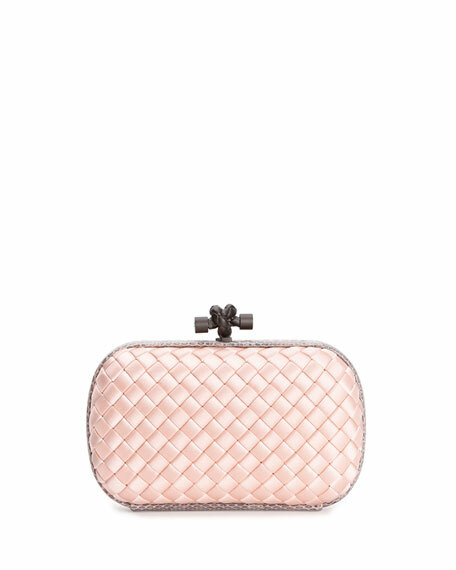 Bottega Veneta satin clutch in signature intrecciato weave. 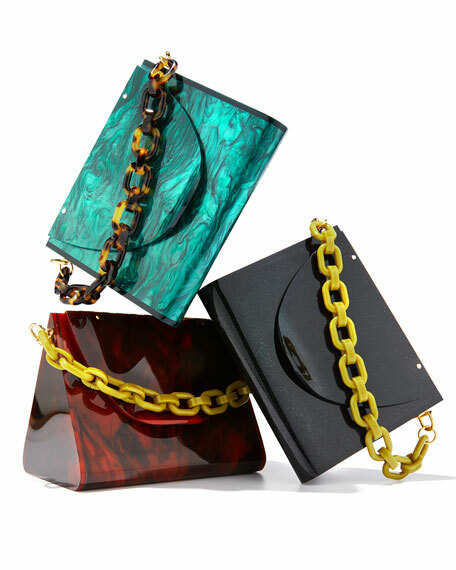 Tonal snakeskin trims hard-shell body with rounded corners. Matte brunito hardware includes knotted hinge clasp. Satin lining. 4"H x 7"W x 2"D. Made in Italy. 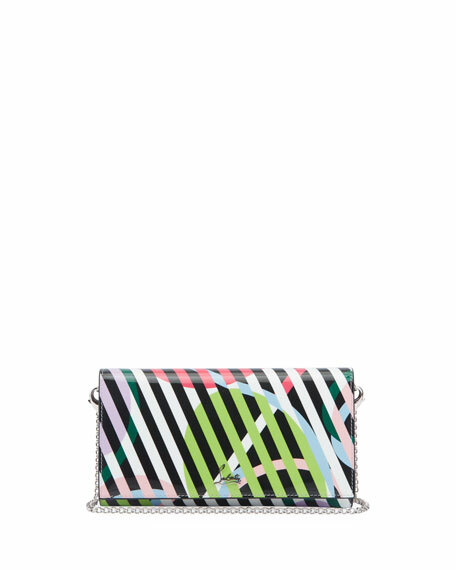 Chloe smooth calfskin minaudiere bag. Golden hardware. Ring bracelet handle. Removable, adjustable shoulder strap. Flap top with snap closure. Back slip pocket. Lambskin lining. 4.7"H x 7.9"W x 2.4"D. "Nile" is made in Spain.